You previously served as the Port’s Capital Program Se- with federal dollars but port funding sometimes lags. 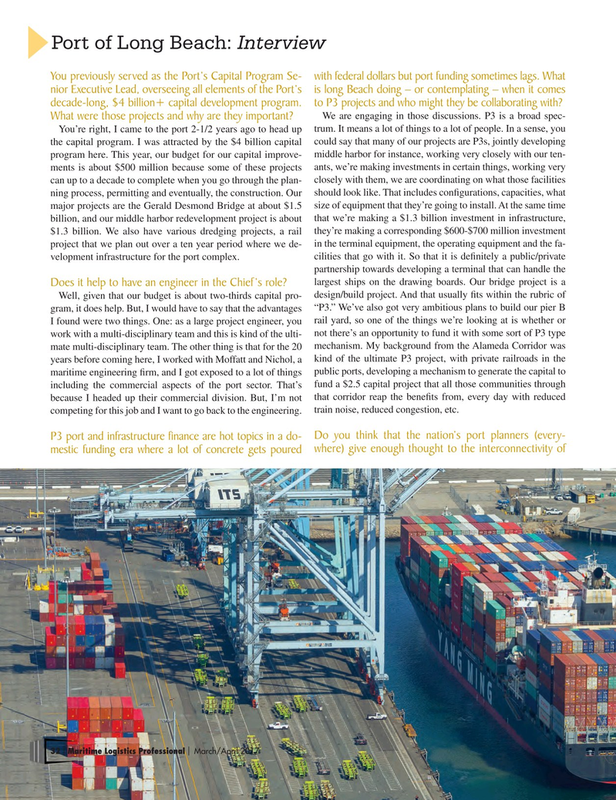 What nior Executive Lead, overseeing all elements of the Port’s is long Beach doing – or contemplating – when it comes decade-long, $4 billion+ capital development program. to P3 projects and who might they be collaborating with? What were those projects and why are they important?